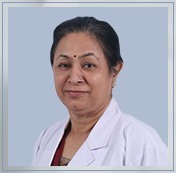 She has also worked as a Sr Consultant Microbiologist in a Private Hospital having Superspecialities like Open Heart Surgery, Kidney Transplant and Cardiology. To adopt new Technology for Diagnosis in the Department of Microbiology for better Treatment by Clinicians. To Prepare Antibiogram to help Clinicians for proper use of Antibiotics. To ensure better Diagnostic Practices in the field of Bacteriology Especially for blood Culture & Sensitivity of Organism by Automation and Parasitology.